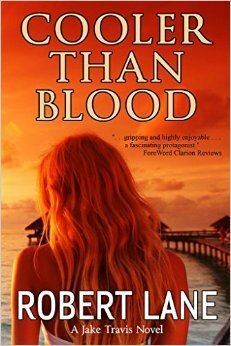 Paging Sam Spade…Cooler Than Blood will be your kind of read. This book is great noir, but with a few funny spins and some interesting turns. I’m not a huge mystery fan, but this book was definitely worth cracking. As I said, the plot has some interesting twists and turns and should not be missed. I did have some issues with the book, though. Honestly, I’m all for conflicted characters. I rather liked Jake being conflicted about his feelings for Susan and his girlfriend, Kathleen. It added some great tension. That said, there is a lot of violence in this book and that might be off-putting to some readers. Also, it was a tad hard to get into the minds of the characters. This book is told in first person, for the most part, and I didn’t get the feeling I was with the characters so much as I was watching them from afar. I little more internalization to understand the motivations of the characters would be great. There is suspense, mystery and intrigue. If those are the kinds of things you like to read, then this might be the book for you.